I’m going to give another trigger warning for this post as it is about the passing of one of our little ones. 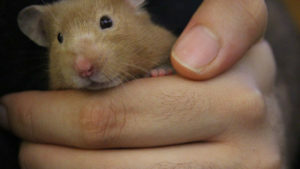 My hubby and I were still finding it hard to cope with the passing of our little one and so we reached out to a hamster expert about her passing. While it was still hard to talk about, I’m glad we could reach out to someone who comforted us by telling us she doesn’t think it was our fault or poor husbandry. Although it’s difficult to be certain what the causes of death were (as we haven’t performed an autopsy) the expert let us know that she thinks the cause of Twitch’s passing was a stroke. Unfortunately, this is something that a lot older hamsters pass from, and she let us know that there wasn’t much we could do for her. She comforted us by telling us that hammies often hide their ailments, and won’t let their pet parents they know that they aren’t doing so well. 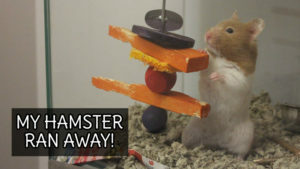 Unfortunately, this news makes me a bit afraid to adopt another hammie as I’m so used to being able to tell if my little ones are sick or if there is something I can do to help them out. My hubby and I are happy to be reassured that how we were taking care of Twitch was deemed “good pet care” but we’re definitely going to be diving even deeper with our knowledge of these little cuties before adopting another one. We’re actually looking to link up with a small mammal rescue in hopes of adopting a little one that needs a home, rather than a baby that was bred to sell. But again, we’re going to take our time this time since we have the opportunity to and make sure that even if her passing wasn’t our fault, we’re aware of everything (or most things) we need to know about hammies. To read more about our adventures with Twitch check out this awesome archive. To read how Twitch was brought into our life please read here. 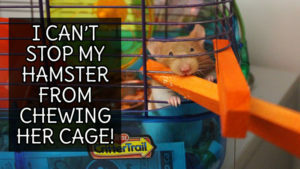 I Can’t Stop my Hamster From Chewing Her Cage! Beau has an adorable squish face! 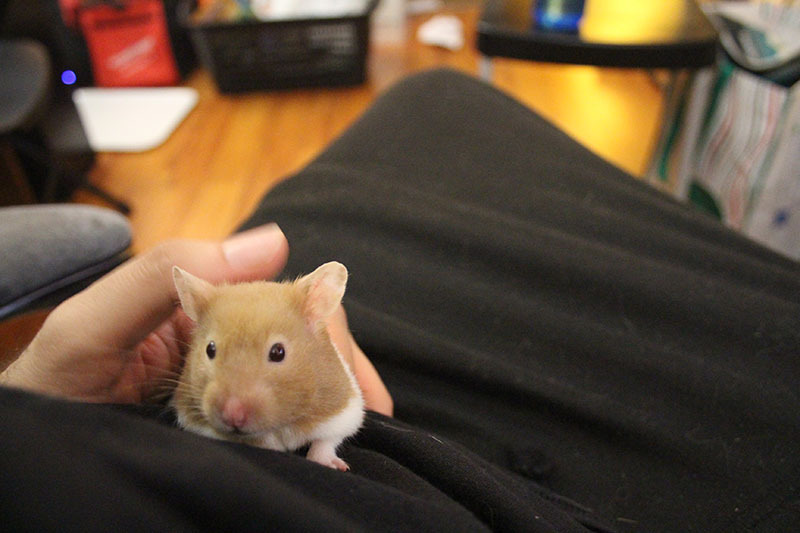 I’ve had my share of hamsters and strokes do happen and there’s nothing you can do about it. Just like with the rats and mice I had, rodents have short life spans and some common ailments that can come along no matter how well you take care of them. But know that Twitch was happy while she was with you and that should make you feel better. Don’t mourn her death as much as you celebrate the great life she had with you. It’s hard to lose any creature we care for; big or small, grief seeks its own size. Let yourselves feel it and whenever it abates, it abates. Purrs to you both. Thanks William. For sure. I’m definitely not a fan of “hiding it.” I’m glad our readers let me be so candid about everything. Sometimes it seems harder to deal with a passing of a pet when you don’t know why. So many questions. But we’re sure you did everything right for Twitch. 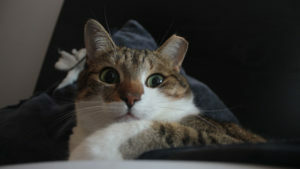 Sending you comforting purrs…. <3 thank you for the condolences. I'm lucky to have one little one who tells me he's feeling sick (Beau). some intestinal issues so she was put down out of compassion. For sure. It’s for sure weird to have a little one that only lives for a few years, especially when you don’t know how old they were when you got them. Ya know? So sorry for you loss. We understand your grief. Hugs. Again, so sorry for your loss. You have lots and lots of love to give; please don’t allow fear to hold you back. Research and knowledge is great, and so is having a wee sweet hammy to smooch.